Following a solar energy installation, an inspection will be conducted by the county to ensure the system will pass code. The inspector will determine that the system has passed based on , electrical, wiring, placement and following the design plans. You will need to be present at time of inspection to pass and have all documents available at time of arrival. Once an inspection has passed, results will be passed along to the electric company. The electric company will be notified that a meter is ready to be installed. 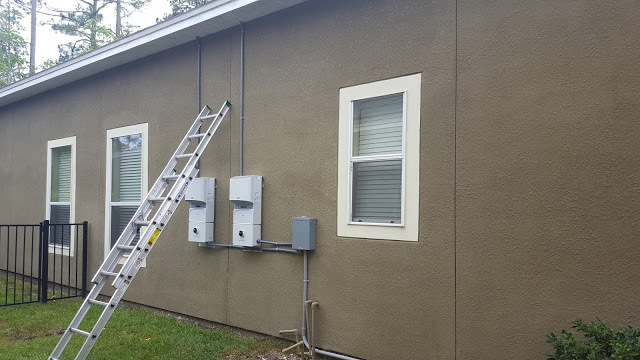 In Florida, all solar installs require a new meter. They are provided by the local electric company to monitor usage and solar energy production. This serves as an important purpose in tracking energy usage and an accurate electric usage record. This process will happen at the convenience of the electric company so there is no requirement for the home owner to be home. After all steps are taken in your solar electric system install, it’s time to turn the system on. iQ Power will set up a courtesy check to power up the solar system, verify that all components are active and that system is functioning normally. 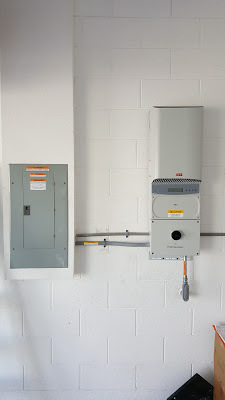 ABB Data Loggers are each connected to an inverter on Photovoltaic systems. Each is connected to the network and set up through the home owner’s IP address. The iOS application can be found at the App Store with search: ABB Plant Viewer. This application can be accessed using account information from ABB Login. There is a 30% federal tax credit available for every solar energy purchase, excluding luxury items such as solar pool heating. Hybrid hot water systems and water treatment systems are also excluded from this credit. To claim a tax credit, you must file a 5696 form with your taxes in the year of your purchase date with an original contract through an accountant or tax specialist. 100% of your tax credit may not be available in the first year of filing, however, it will be added every additional year in the largest sum applicable until the entire tax credit is used. You will need to complete and submit Form 5695 to be eligible. Present this form to your tax professional to complete and submit when filing taxes for that purchase year and your tax credit will become available after. Click HERE to request a complimentary consolation to find what other sources of energy saving tools iQ Power has to offer.